Arginine is considered a semi-essential amino acid because even though the body normally makes enough of it, supplementation is sometimes needed. For example, people with protein malnutrition, excessive ammonia production, excessive lysine intake, burns, infections, peritoneal dialysis, rapid growth, urea synthesis disorders, or sepsis may not have enough arginine. Symptoms of arginine deficiency include poor wound healing, hair loss, skin rash, constipation, and fatty liver. Arginine changes into nitric oxide, which causes blood vessel relaxation (vasodilation). Early evidence suggests that arginine may help treat medical conditions that improve with vasodilation, such as chest pain, clogged arteries (called atherosclerosis), coronary artery disease, erectile dysfunction, heart failure, intermittent claudication/peripheral vascular disease, and blood vessel swelling that causes headaches (vascular headaches). Arginine also triggers the body to make protein and has been studied for wound healing, bodybuilding, enhancement of sperm production (spermatogenesis), and prevention of wasting in people with critical illnesses. Arginine hydrochloride has a high chloride content and has been used to treat metabolic alkalosis. This use should be under the supervision of a qualified healthcare professional. High levels of low-density lipoproteins, parcels of lipids and protein that carry cholesterol, are a leading risk factor for heart disease. Many cholesterol medications lower LDL, some of them by targeting the protein PCSK9. In the January issue of the Journal of Lipid Research, scientists at the University of California, San Francisco, report on an investigation into why experiments on PCSK9 give different results in a test tube and in liver cells. In a study published in iScience, Professor Akiyoshi Fukamizu of the Life Science Center for Survival Dynamics, Tsukuba Advanced Research Alliance (University of Tsukuba, JAPAN) and the research group reported a new work on discovery of the important role of PRMT1 in dilated cardiomyopathy. Researchers from the University of Zurich can, for the first time, precisely characterize the protein modification ADP-ribosylation for all proteins in a tissue sample. 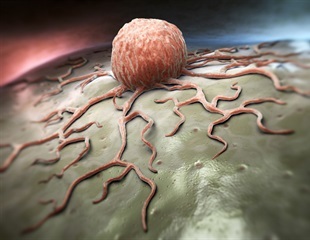 By genetically manipulating and removing the most common mutant form of the p53 gene that promotes colorectal cancer in humans, an international team of scientists demonstrated that this therapy reduces tumor growth and tissue invasion. The mutated and aggregated protein FUS is implicated in two neurodegenerative diseases: amyotrophic lateral sclerosis and frontotemporal lobar degeneration. A recent study has shown that pesticides prevent mitochondria from functioning correctly, causing cell death and Parkinson’s Disease. Treating inflammatory diseases of the bowel is extremely challenging: Genes, gut microbes and disrupted immune function all contribute. A simple dietary supplement (L-arginine) was found to improve birth outcomes, paving the way for future clinical trials to test this inexpensive and safe intervention. Thousands of children are being diagnosed with autism on the basis of tests that are mainly based on the behaviour of the child and his or her responses to the tests and behavioural assessments. In short, there are no blood tests or urine tests that can be used to diagnose autism. For the first time, researchers have described atom-by-atom changes in a family of proteins linked to amyotrophic lateral sclerosis (ALS), a group of brain disorders known as frontotemporal dementia and degenerative diseases of muscle and bone. Defects in mitochondria, the tiny structures that power our cells by functioning as biological batteries, cause an array of complex, often life-threatening disorders that can affect any and all organs and systems.